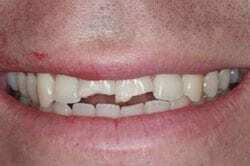 Is there a small gap between your teeth that you would prefer not to have? Or perhaps you have discolorations on your teeth, or a tooth that is badly broken, cracked or chipped that you want fixed. No doubt, you not only want the tooth fixed, you also want it to look natural and blend in with your other teeth. New Orleans cosmetic dentist Dr. Duane Delaune of Metairie can use tooth bonding to beautifully restore your smile. 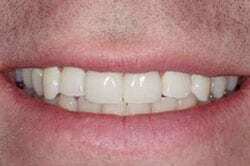 Tooth bonding or dental bonding is a cosmetic dental technique that bonds dental composite to the tooth. Dental composite is made of silica or quartz that is bound with a synthetic resin. The composite comes in different strengths, shades and translucencies, so that with the artistic eye of a cosmetic dentist like Dr. Delaune, it will match your teeth. The composite has a paste-like consistency, so that it can be molded and smoothed to the proper shape of the tooth. Composites also contain photoinitiators, which help them harden under a high-intensity curing light. The surface of your tooth is lightly etched to roughen it and help the composite adhere to it. A thin, clear bonding agent is used to coat the tooth, and the composite is applied. Often, Dr. Delaune will apply several layers of the composite, with different shades and translucencies, so that the final result matches the variations of color and translucence in your natural teeth. Dr. Delaune will smooth and shape the composite into its proper shape, then apply a high-intensity curing light to help it harden. After the material hardens, it will be further shaped and then polished. The bonding can last 10 to 15 years, but much of its longevity depends on your care of your teeth. There are ways that you can help it last longer. Brush and floss your teeth frequently. Get frequent professional maintenance to help the bonding resist stain and keep its shine. Bite hard foods with side teeth that have not been bonded. Avoid biting hard or sharp objects. Keep in mind that smoking and frequently drinking coffee and tea can stain the bonding. If you frequently drink alcohol, it can cause the bonding to deteriorate prematurely. Call Dr. Delaune if you notice sharp or rough edges, or snags on your bonded tooth. Dr. Delaune is an accreditation candidate of the American Academy of Cosmetic Dentistry. He has post-graduate education in cosmetic dentistry techniques. Dr. Delaune has the artistic eye required to apply bonding that beautifully matches your natural teeth. The before and after pictures below show how beautifully Dr. Delaune restored a patient’s teeth with dental bonding.